They devastate your belief, soul and life – and they do it under the most manipulative guise of healing you. What is the incredible transcendence for us out of this? Watch today’s TTV episode because I’m about to explain ALL of this … and more! In today’s Thriver TV I want to get right down to the gist of how spiritual narcissists operate and how they get their hooks into you. I also want to deeply investigate how spiritual healers very easily get you to hand your power to them and how you can ensure that stops happening to you. Also, I’m going to explain to you how even if a spiritual narcissist is not healing you, they are granting you the most incredible opportunity to finally come home to healing yourself. 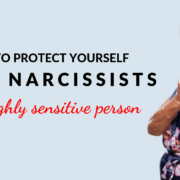 If you have been abused by a spiritual narcissist, whether it be in love or in therapy or church, this is a must-watch video for you. It will explain a lot. 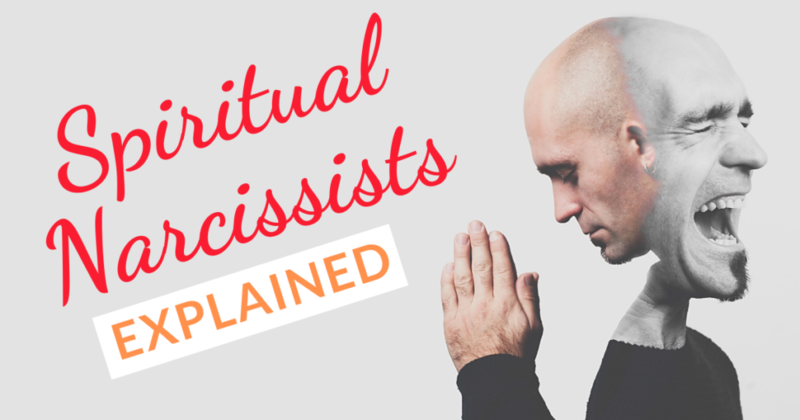 Let’s start by checking out the different types of spiritual narcissists. They can range from church ministers and worshippers who have incredible scripture knowledge, through to Eastern and personal development gurus and an endless assortment of spiritual healers and followers. The spiritual narcissist in your life may be a person who reads spiritual books and professes to be spiritual who is holding up their indoctrination to you, professing that you need to live by it. This could be any impactful person in your life, whether they are connected to a church or healing profession or not. How Do Spiritual Narcissists Infiltrate Us? 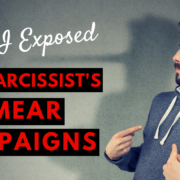 Many of us have known spiritual narcissists personally and collectively. Only recently a prominent spiritual narcissist within the Catholic church has been exposed through the mass media. Narcissists are all dangerous and covert in that they wear a mask appearing to be who they are not. Spiritual narcissists totally personify the expression ‘wolf in sheep’s clothing’. What is so insidious and horrifying about spiritual narcissists is that they exploit positions of trust. If we are not yet aware that the only true authority to how we connect and relate to people is our inner being, we can easily believe that someone else has authority over our life and soul – even when our inner wisdom doesn’t agree. And so sadly, we can justify these feelings away easily believing spiritual narcissists; we hand over our power and put our soul in their hands. Spiritual narcissists absolutely capitalise on people doing this. The twist in the story of abuse by spiritual narcissists is that they can appear to be our remedy, our guru and the person who will heal us. However, like any source outside of ourselves that is a substitute to our own wholeness, this again is a False Source. Like all narcissists do, they appeal to a gap within us and profess to be the person to fill it. 2) Abusive substitutes that we get hooked on for our supposed salvation, yet they bring about our destruction instead. Who Is With Spirit Genuinely and Who Is Not? We may trust spiritual narcissists and hand our power to them because they have professed to be with spirit and therefore immediately seeming credible. Maybe we want to trust them in the hope they can heal us. Beware of anyone telling you that they are the person who will heal you back to a spiritual oneness. They can’t – only you can generate that for yourself. Someone can only empower you to deeply partner with and start healing yourself – they CAN’T do it for you. Rather than getting you to follow them, a true spiritual healer will take you deeply within yourself for you to connect to your ‘self’. If someone is fostering a dependency with you, you need to be extremely wary of their motives. Is it for your money, body, resources, energy or life-force that they are creating this symbiosis? Someone who is with Source will encourage you to become your own sage and guru and a person who no longer needs them – and they dearly wish that for you. They will want for you to have a direct relationship between you and Source, in its purest form, because they deeply know that you are Source itself and can experience and know this for yourself. They know God is within. They know your salvation lies in YOU knowing ‘Who You Really Are’ – God/Source/Salvation itself. If someone who professes to be spiritual is not helping you come to this authentic place of peace, power and truth, then in my humble opinion – narcissist or not – this is creating co-dependency and powerlessness within you. 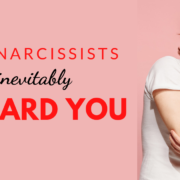 All narcissists, without exception, are teaching us an incredibly brutal yet powerful message about the necessity to be self-partnered and to be a Source to ourselves. This doesn’t mean that our life is meant to be spent ‘alone’. It means that according to the absolute Quantum Law of ‘so within, so without’ that we need to become the inner template of how our life goes. The true Source of power and wholeness comes through sourcing life directly through ‘Source,’ which is our Higher Power and Higher Consciousness. I believe this is one and the same as our True Self, when we know Who We Really Are and cease handing away our power, truth, values and authority to outside influences. When we are riddled with human trauma and false beliefs, we don’t trust ourselves. We may find it extremely difficult to have a solid connection to our inner innate wisdom – our Higher Self (God if you like) – which communicates to us in the form of emotions and intuition. If we are in our head, disconnected from ourselves and self-abandoning this integral inner relationship, then we are prone to clinging to and hoping to receive support and love from others in order to be whole – but it doesn’t work. This is metaphorically the lost, alone child trying to find a parent who will do the job properly this time, which doesn’t happen, instead of healing these parts within us ourselves. As children we couldn’t be a source to ourselves and were hugely susceptible to abuse without defences to protect ourselves, including from spiritual narcissists. Yet as adults we can heal ourselves to be whole and self-actualised once we know what it is that we need to heal. Rest assured, you will begin to understand what it is that you need to heal when you take your focus off what others are doing and have done to you and turn inwards to the traumas that are in your own being, traumas that you can release and bring Source into the space where they once were. It is only when we believe we are not whole and are in some way defective and damaged that we go against our Inner Being, who is warning us by ‘not feeling right’. We second guess ourselves, hand our power away and get sucked into the web of the narcissists. We are only traumatised and hooked – horrifically addicted – to someone, despite them abusing us, when we haven’t yet turned inwards to heal the corresponding fracture within ourselves. The powerful truth about this process is: NO ONE can do that for you. It can only occur between self and self. This ‘Self’ goes against the entire culture of the narcissistic/co-dependent setup that our entire world is based on – people feeling empty and traumatised on the inside being promised solutions outside of themselves to try to get better; and people who are inner black holes (narcissists) preying on these people by pretending to be the solution and then infiltrating their inner beings and sucking them dry. What is required here is a conscious shift away for the programmed lunacy of being told we are carnal, defective and not in God’s graces and need to earn our way back there, which we have all suffered. We were additionally brought up by parents who also believed they were defective, carnal, soiled and had to earn love and acceptance. Insidious inner shame and deficient self-love and belief is a chronic human condition. Such a programmed conditioning, coupled with a world steeped in an overload of toxic trauma and dire separation from Source, Love and Oneness, has meant that the toxic environment for spiritual narcissists has been able to flourish. What is our remedy from all of this? This… SEEK the God Within; BE your own guru; RELEASE your trauma and fill with the True Source Light that is your Source True Self, and see how you evolve into a force of love, truth and wisdom that exceeds anything you have ever known before. You will no longer unconsciously be drawn into toxic relationships of symbiosis, dependency and narcissistic abuse, and you will inspire others to be free, authentic and filled with Source as well. Something I hugely discovered in my journey of dire self-abandonment and not going within, is that I always sought experts, healers and therapists outside of myself. I didn’t realise for a very long time that these people were my supplements and that they could never truly heal me; that the ongoing dependency of the management of my wounds, instead of truly healing them, or sustaining spiritual abuse that nearly destroyed me, was all for one reason – to push me back inwards to myself. I learned the true Holy Trinity – myself, my Inner Being and my Superconscious (God) – and that it was when all these parts became integrated, which they naturally are when we are without our inner trauma separating us for ourselves, our Inner Beings and our Superconscious Self (and therefore all of Life and others), that I became whole. More whole that I ever believed was possible. Okay, if this makes profound sense out of all the nonsense we have been told, and if you want to find out more about how to meet your Inner Being so that you can integrate your Holy Trinity and your True Self and True Life, I’d love to show you the way home to you. The first step is by joining up to my 16-day free course by clicking this link. Have you been affected by Family Court Corruption in Texas or the Travis County and surrounding area?